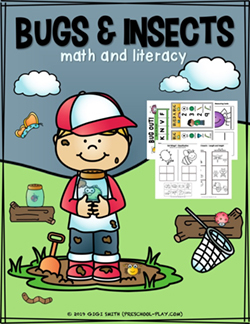 This math activity is sure to engage children while reinforcing seriation (size skills). 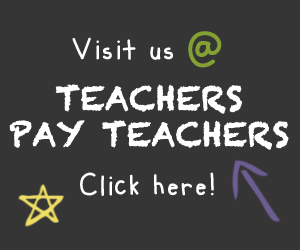 Have your learners arrange the Peeps in different ways before adhering them onto the paper. Ask them to arrange the pieces from small to large and then large to small. In addition, have them separate the two largest from the two smallest. Finally, let your students choose which size order they would like to glue the bunnies in. Be sure to discuss other words that mean big (huge, large, etc.) and small (tiny, little, etc. ), and incorporate them into the task. 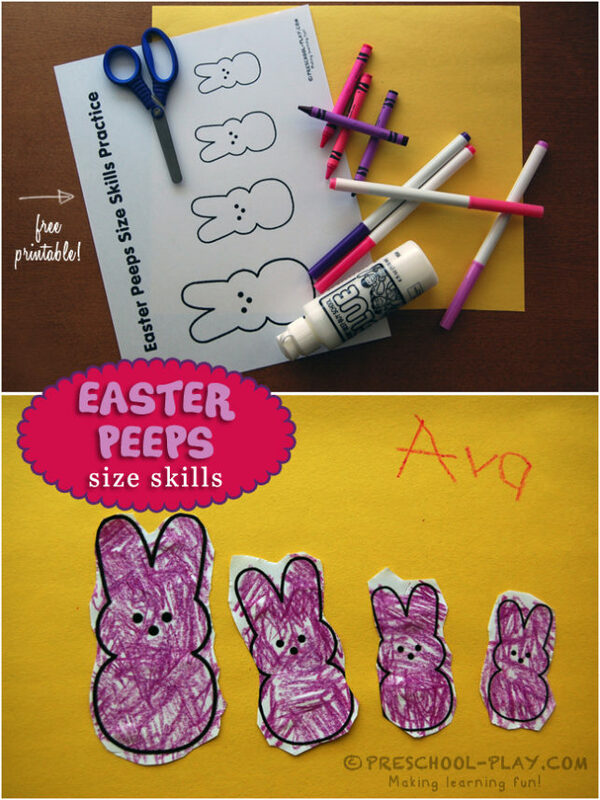 Download this free Easter Peeps Size Skills Practice sheet.